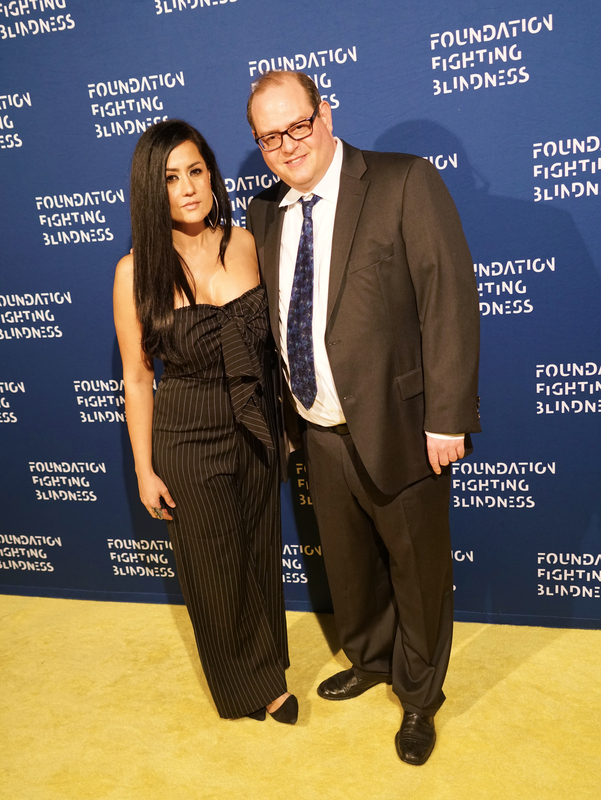 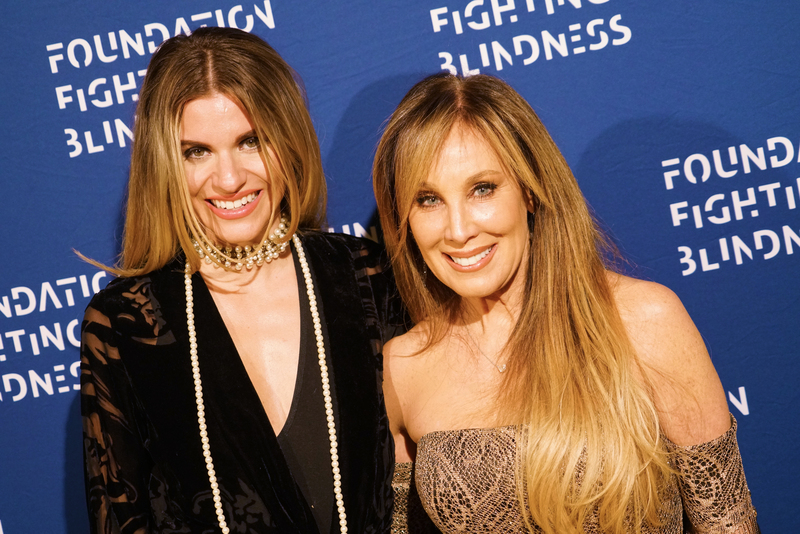 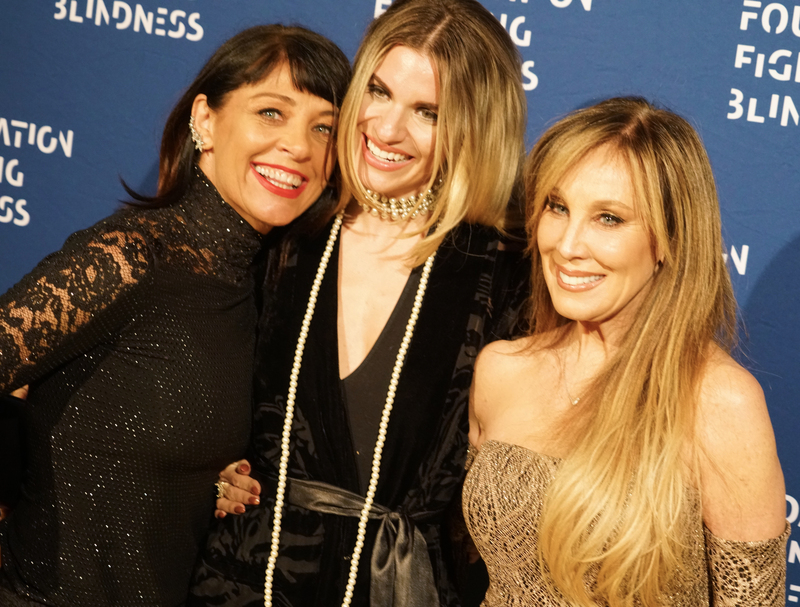 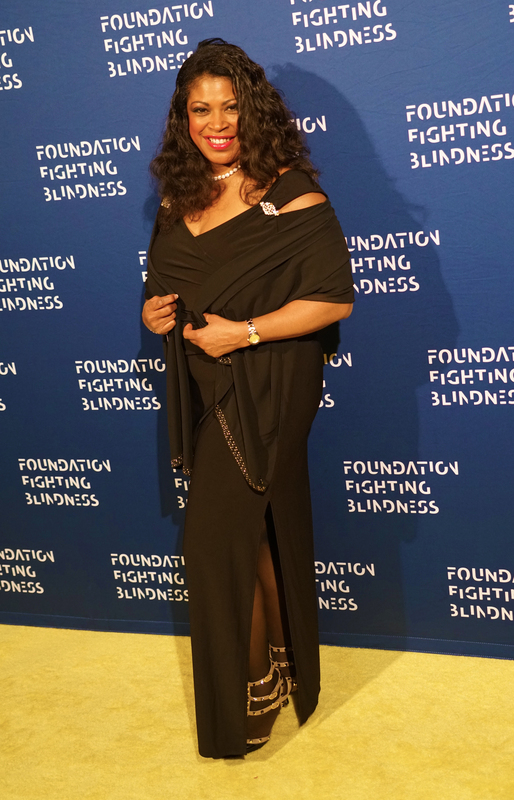 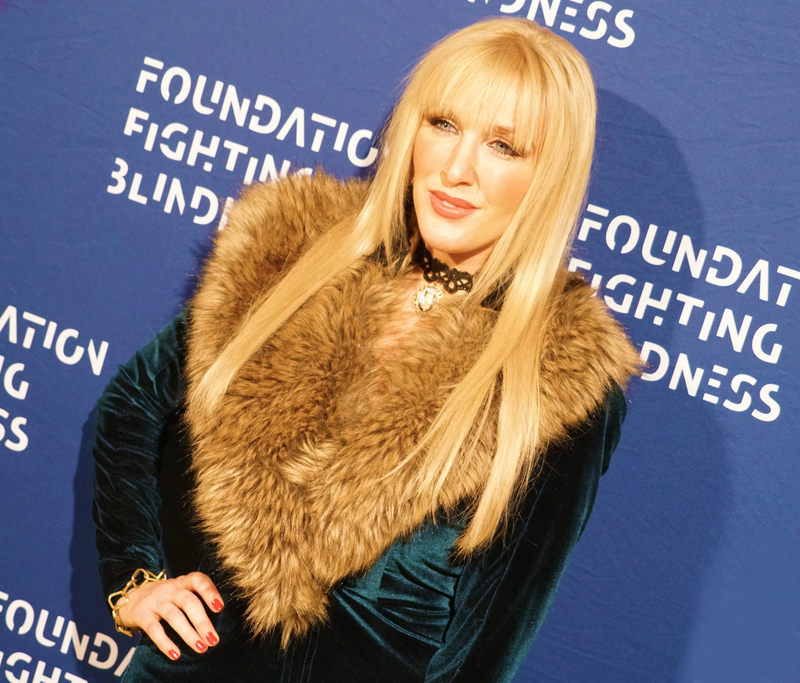 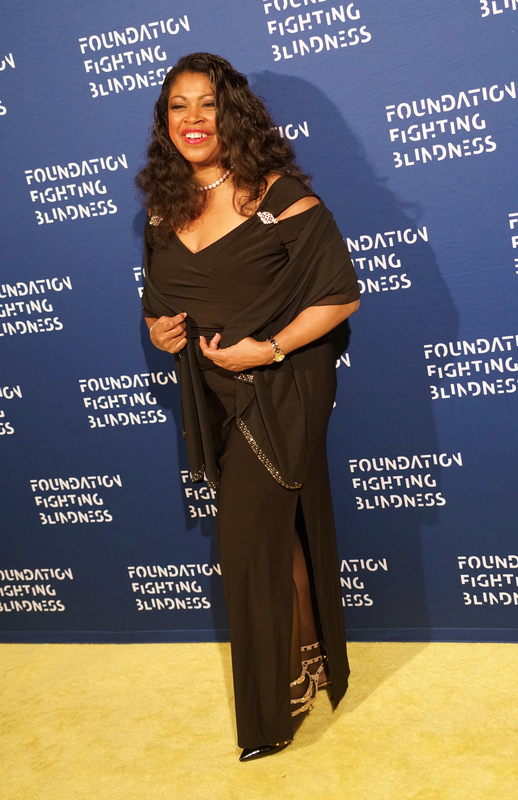 On Saturday night, Honorees and Celebs flocked to the Bel Air Country Club for the Foundation Fighting Blindness’ Emerald City Gala , Visionary Awards Dinner. 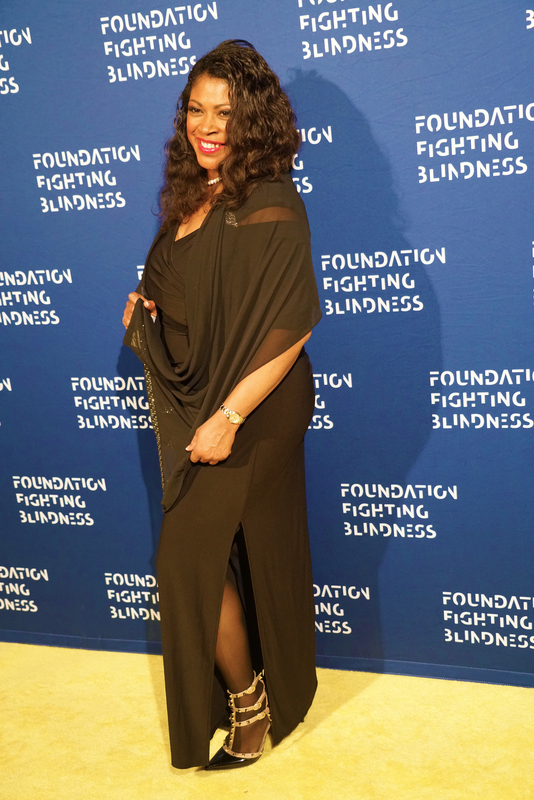 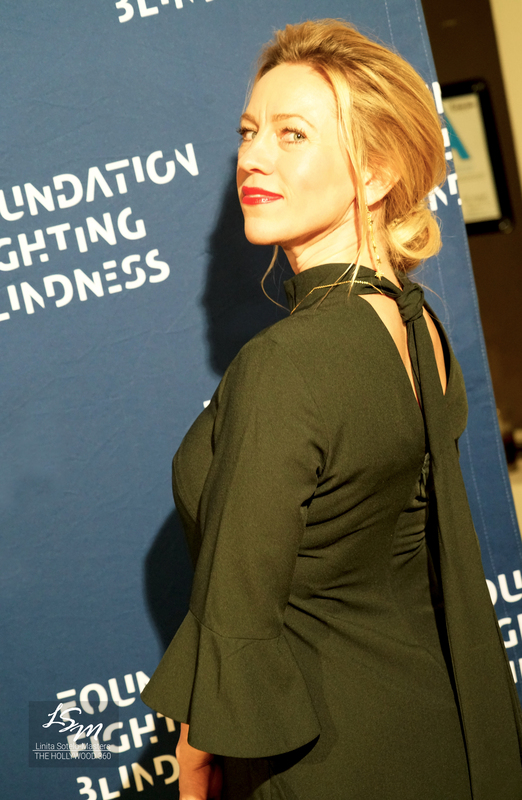 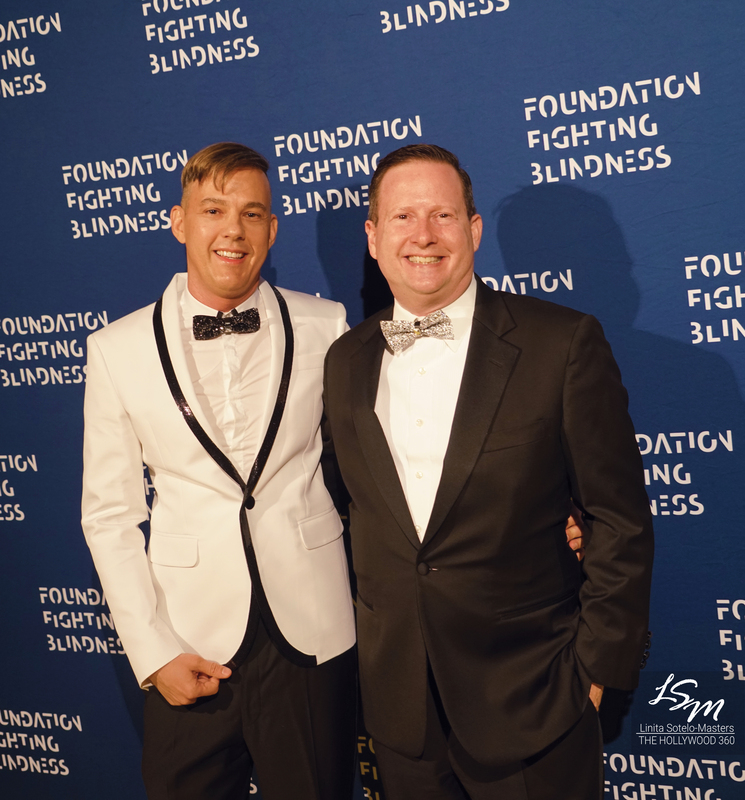 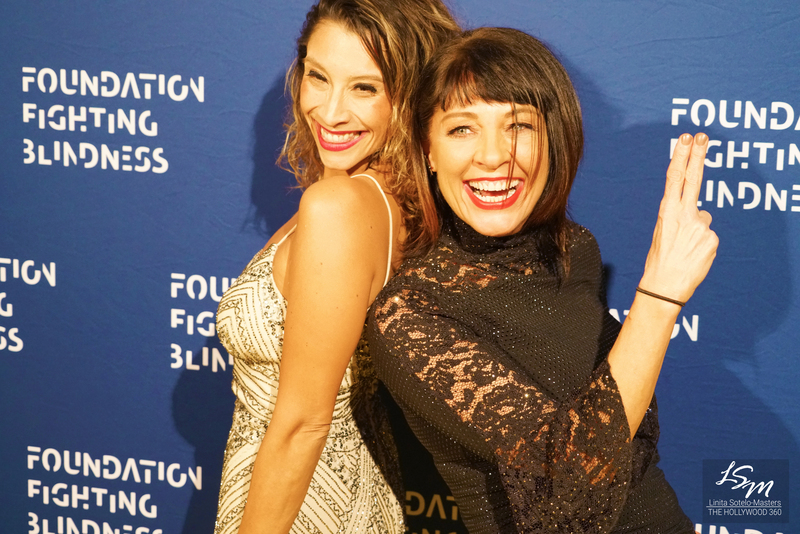 On Saturday, November 17, the Bel Air Country Club in Bel Air, CA was the picturesque location for The Foundation Fighting Blindness Emerald City Gala, Visionary Awards Dinner and Silent Auction. 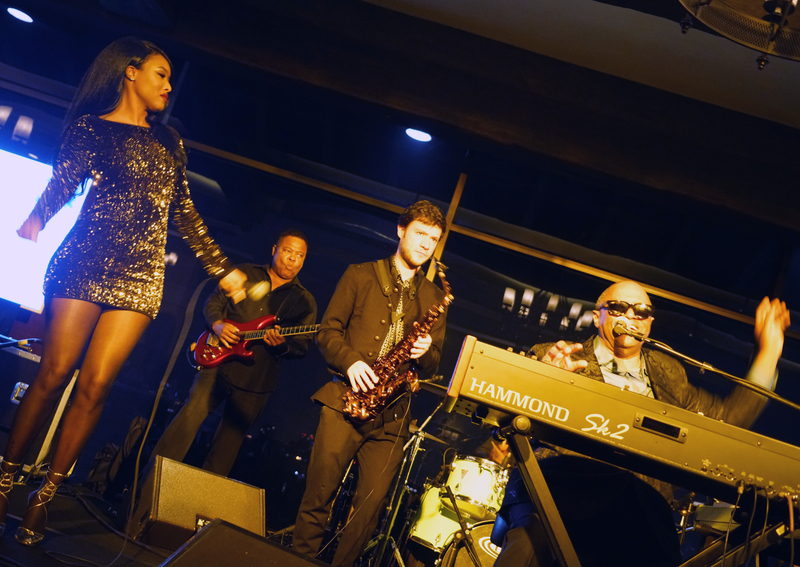 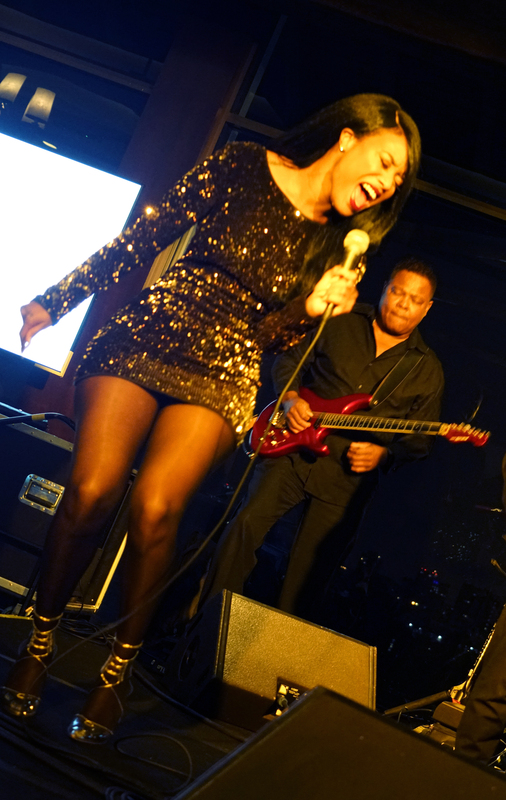 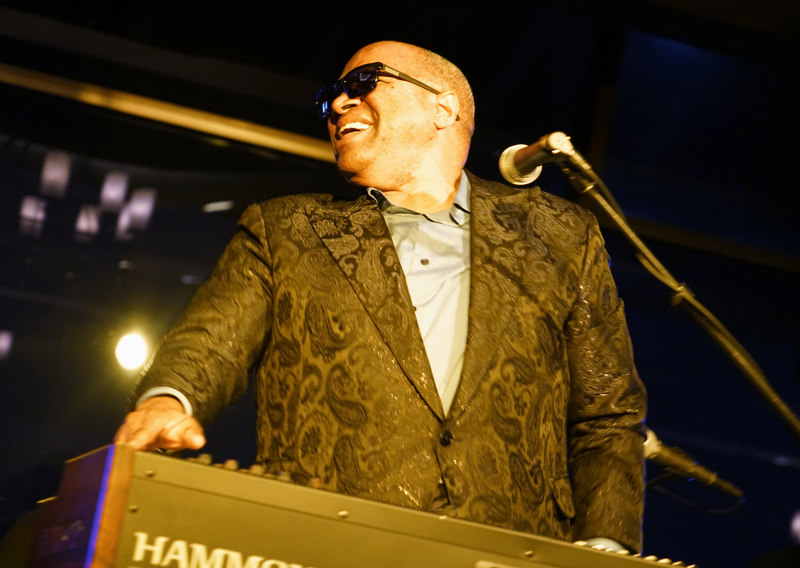 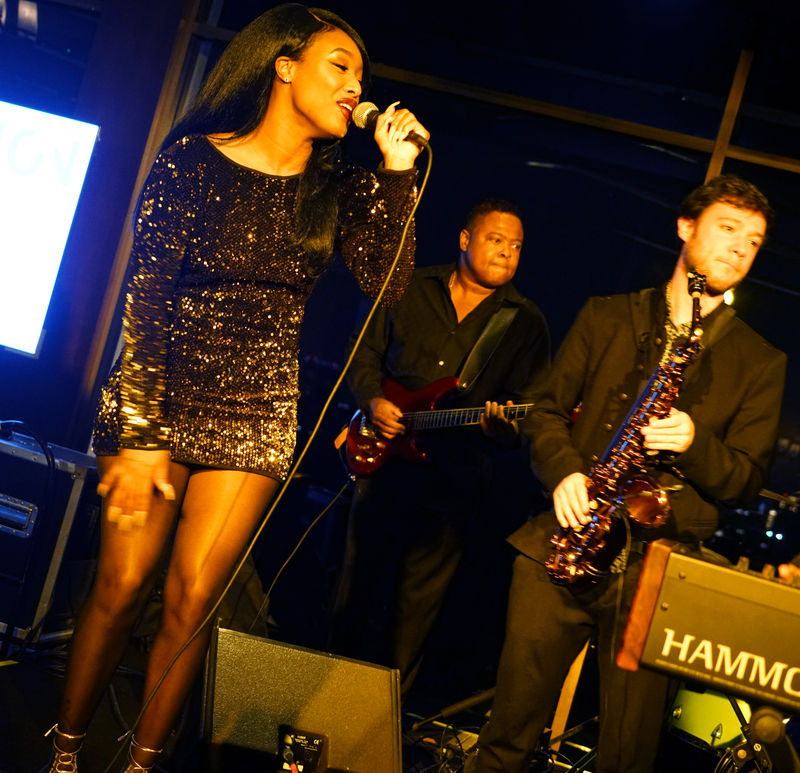 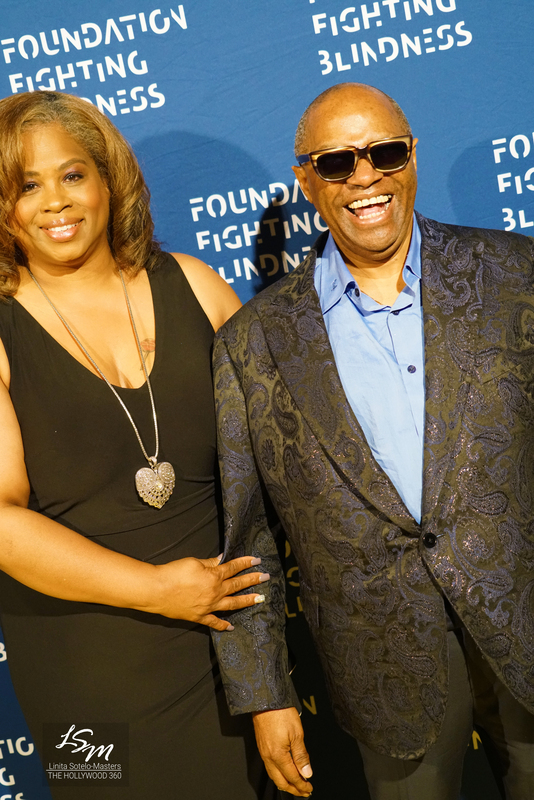 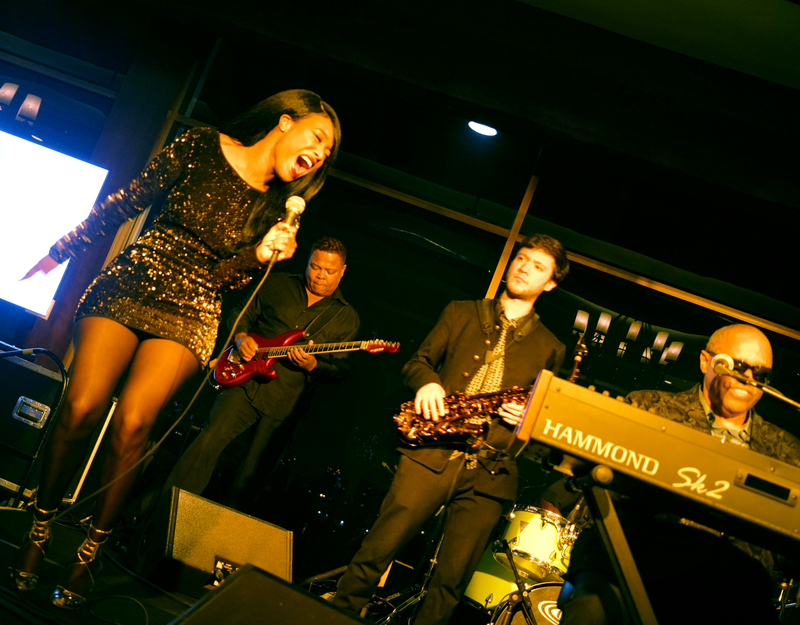 Attendees celebrated in style, with performances by music icons Stevie Wonder and Ellis Hall. 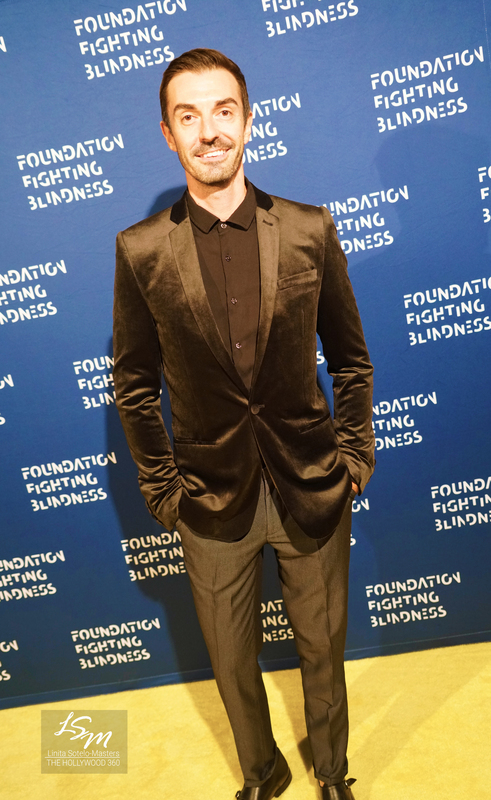 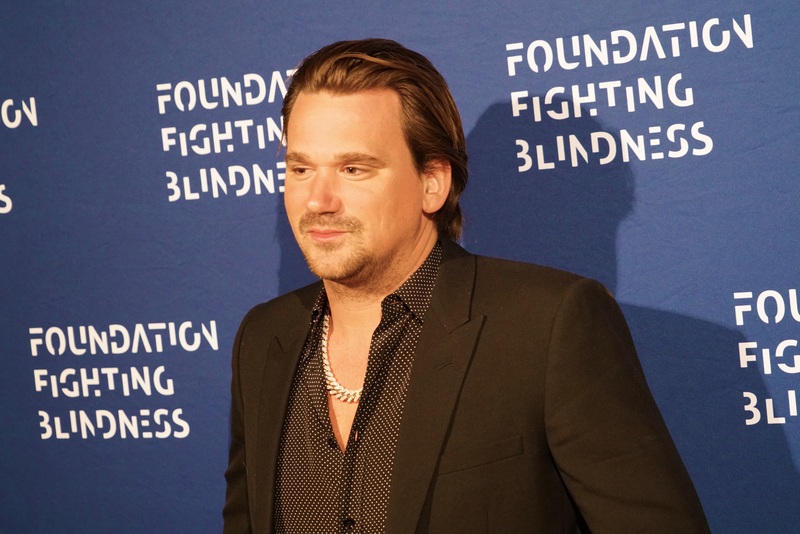 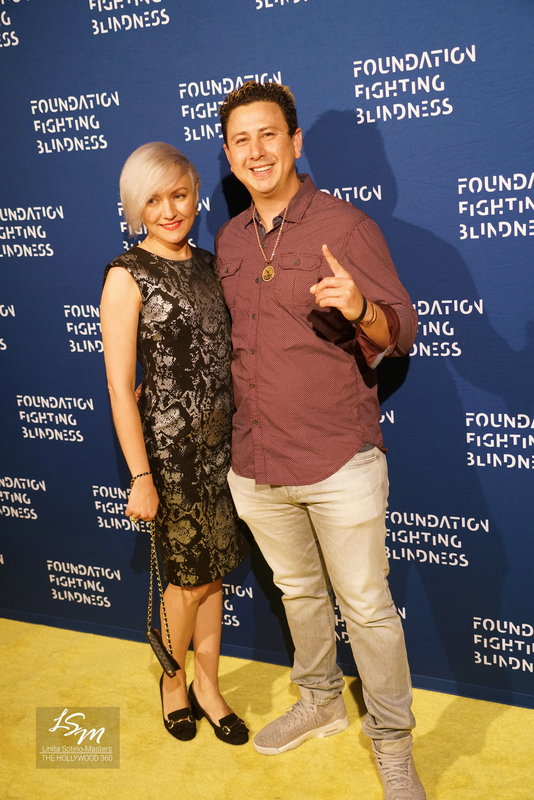 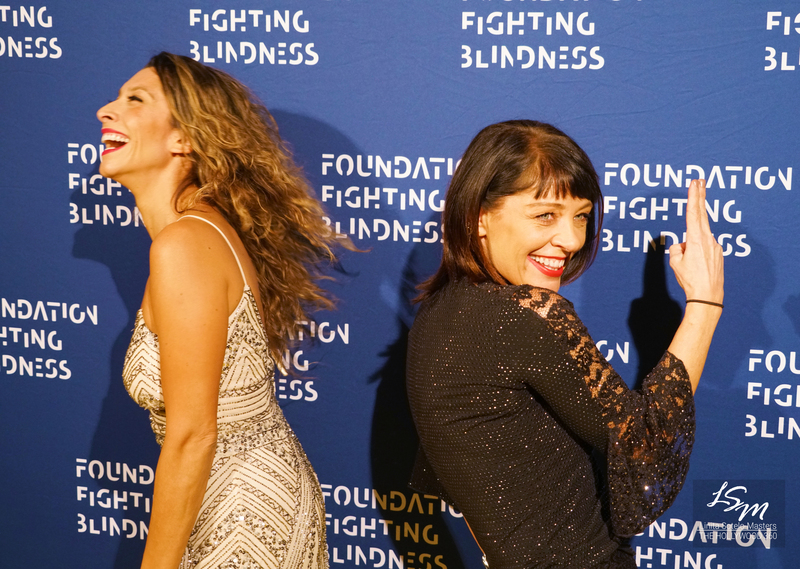 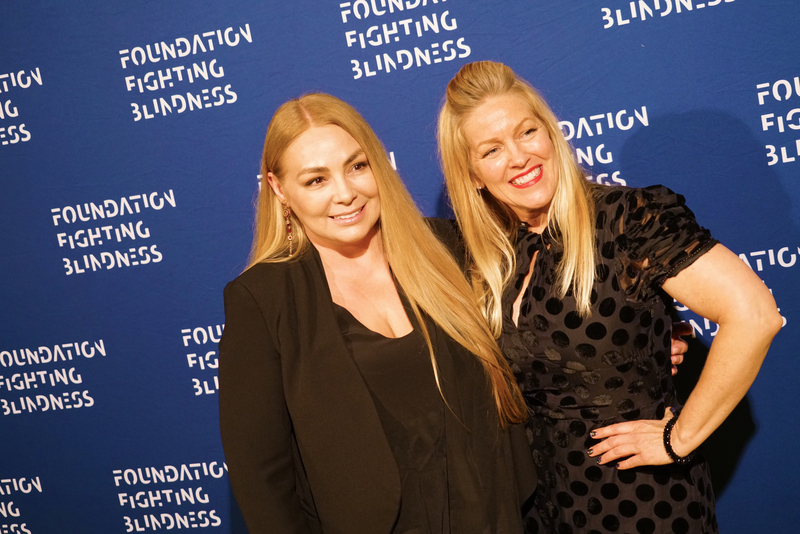 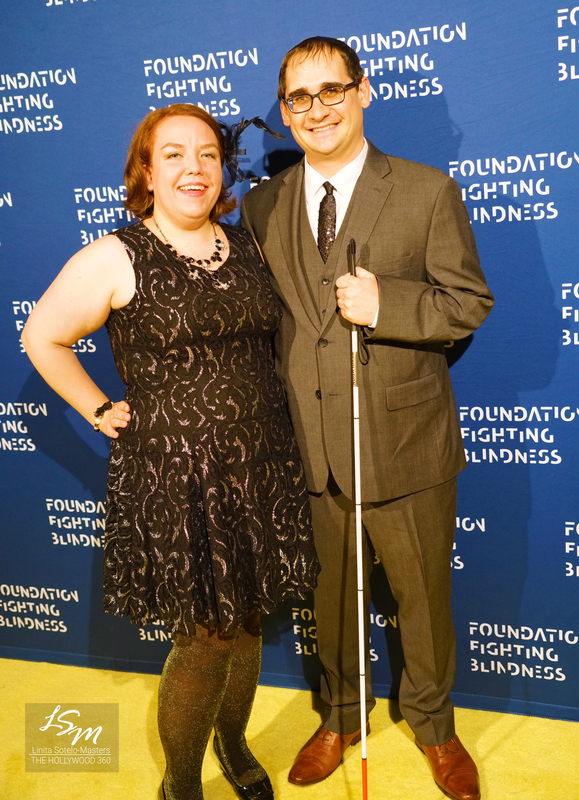 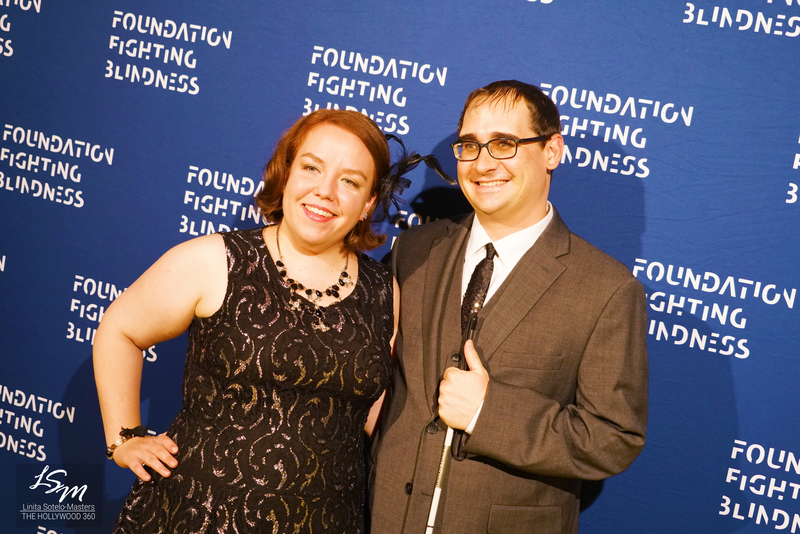 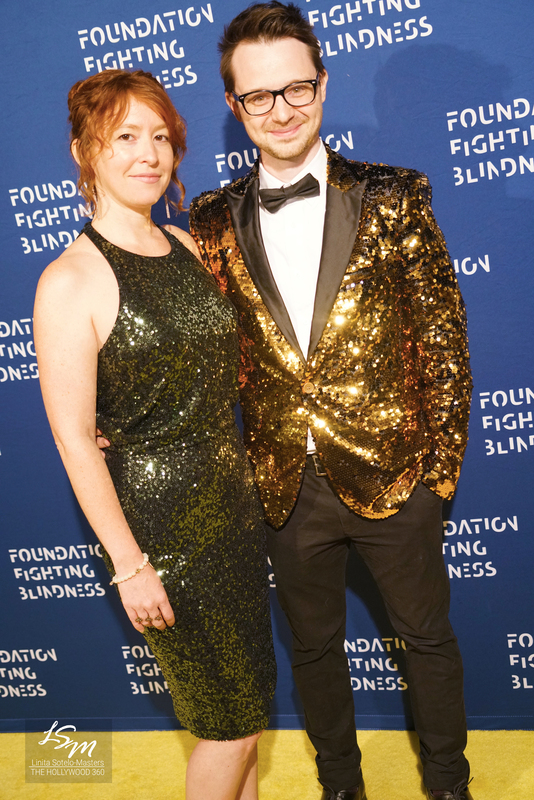 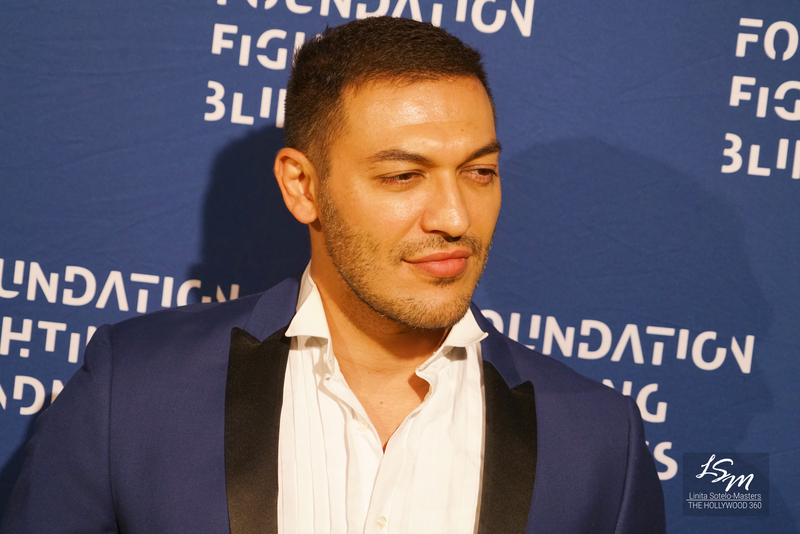 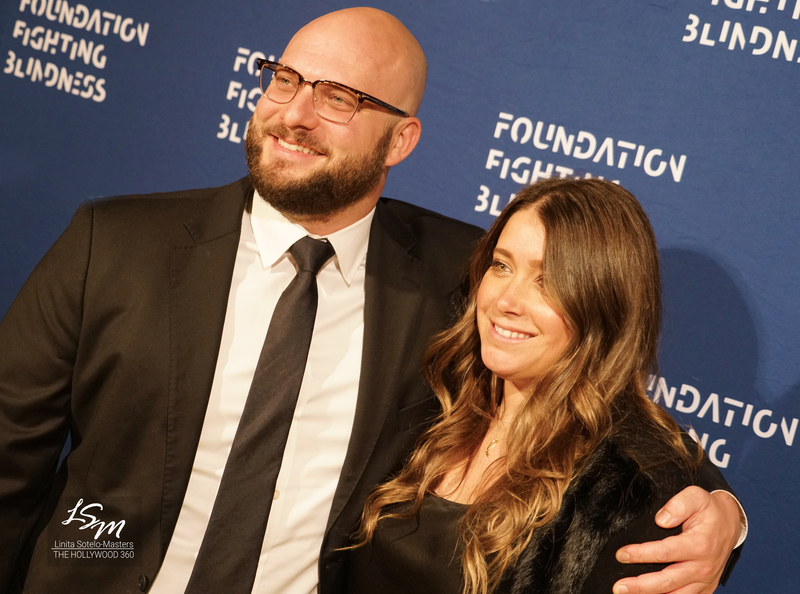 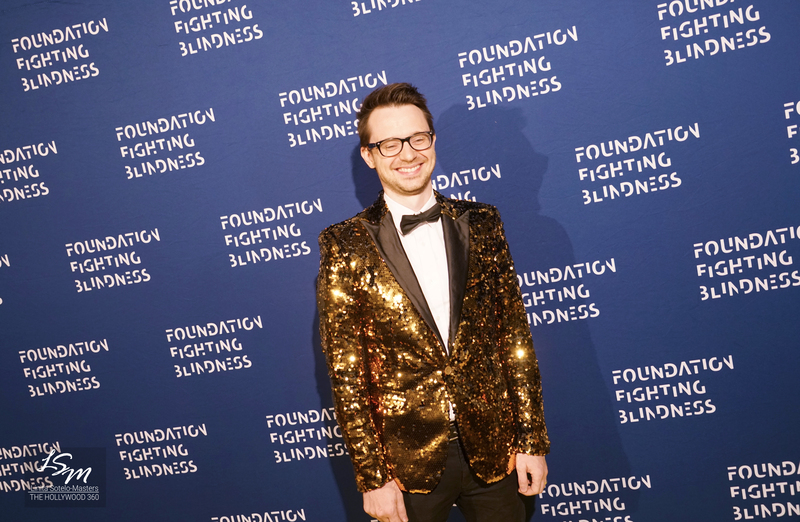 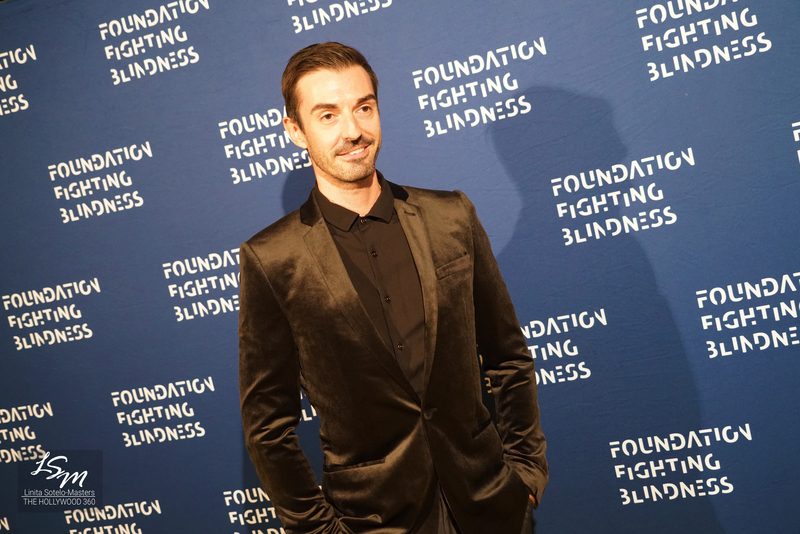 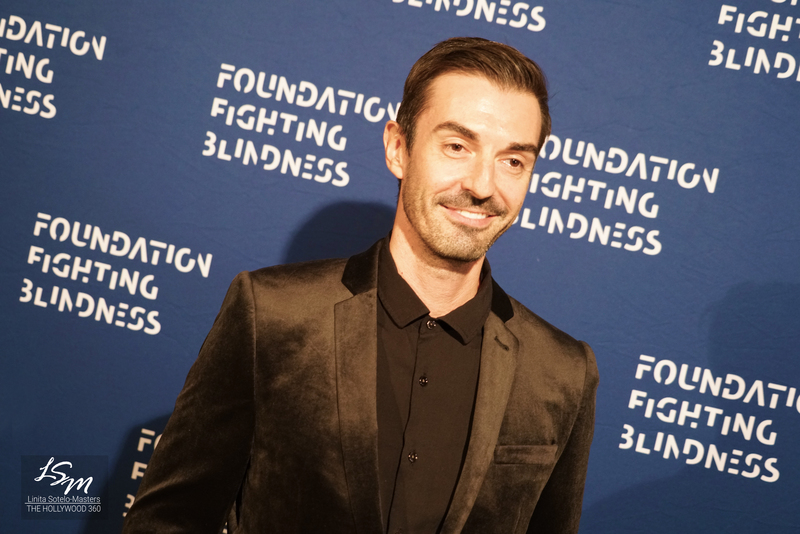 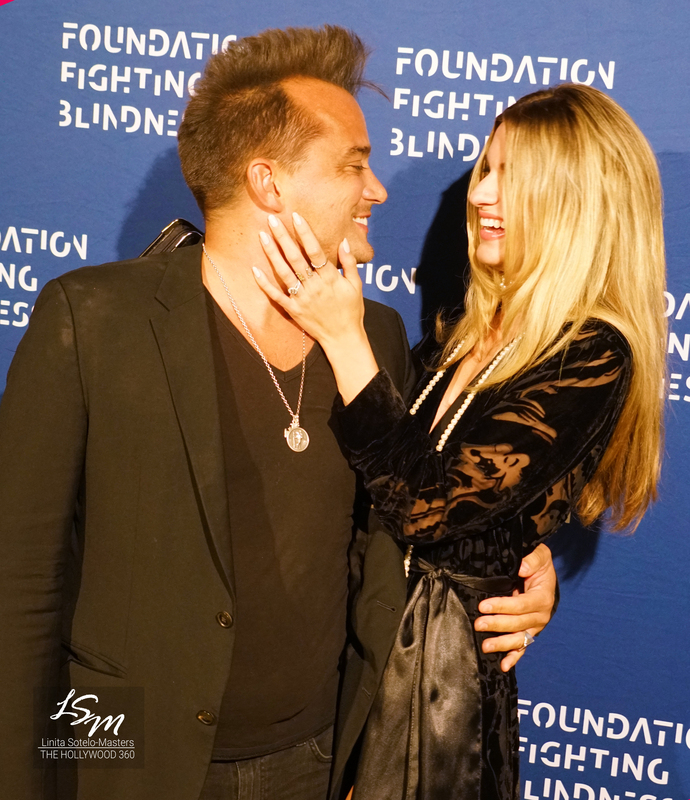 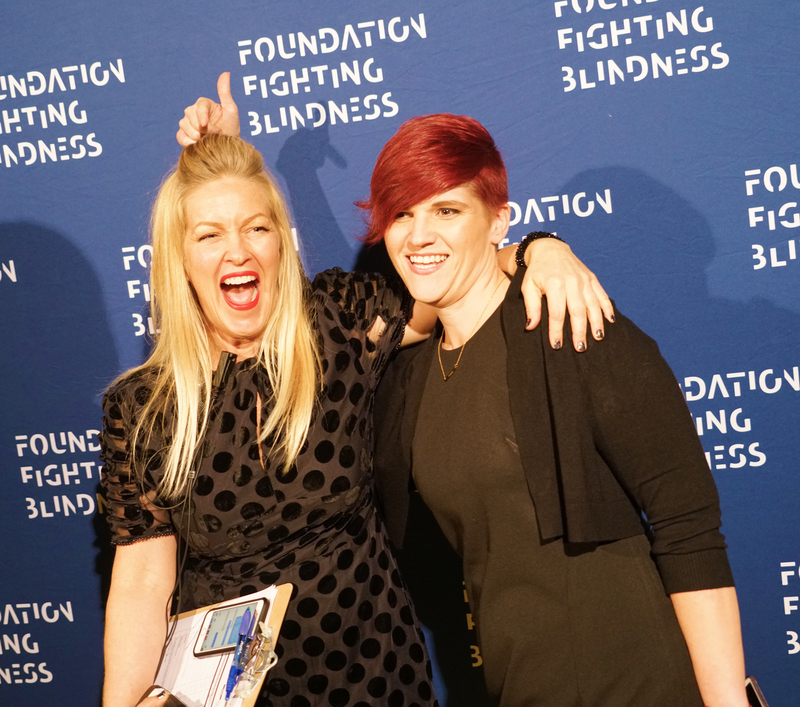 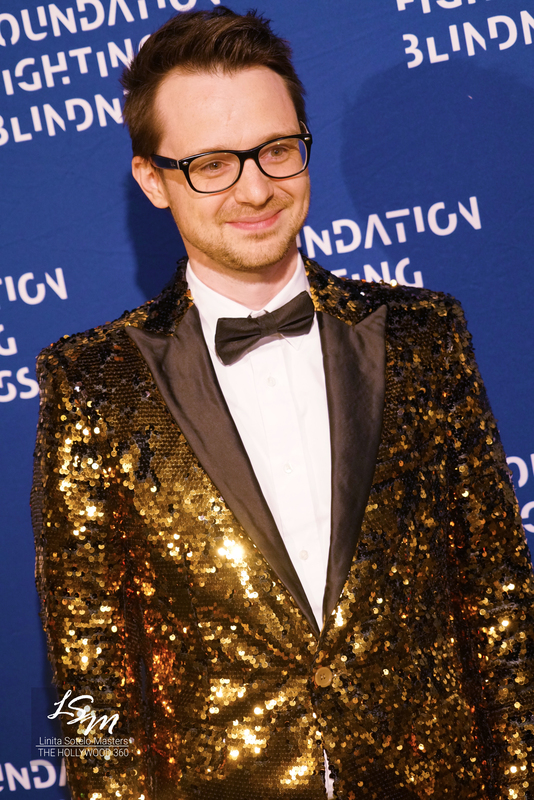 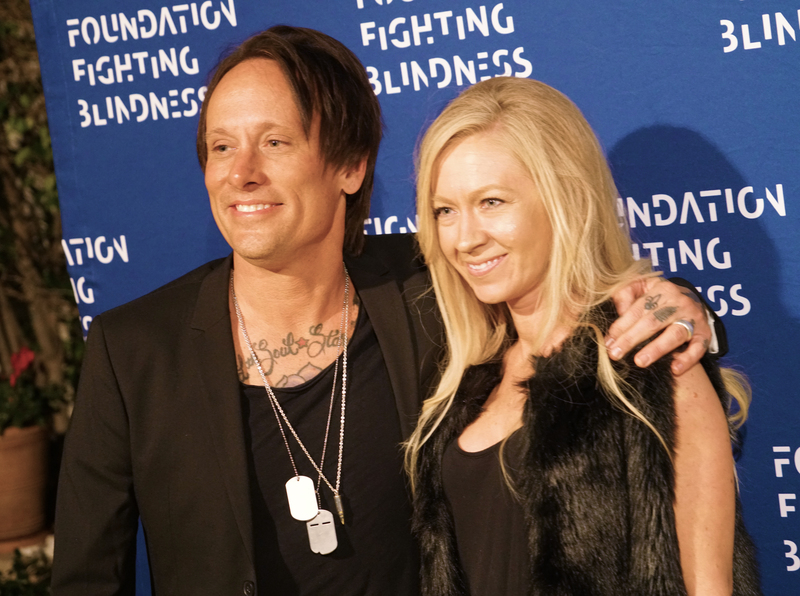 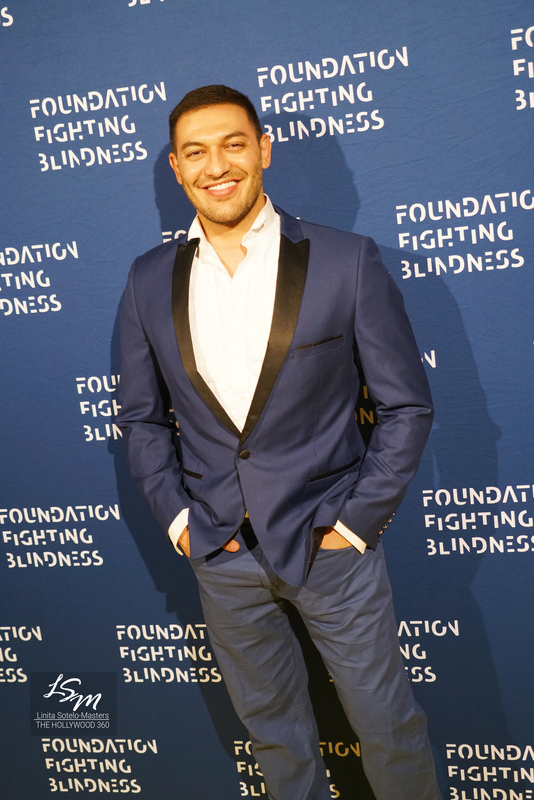 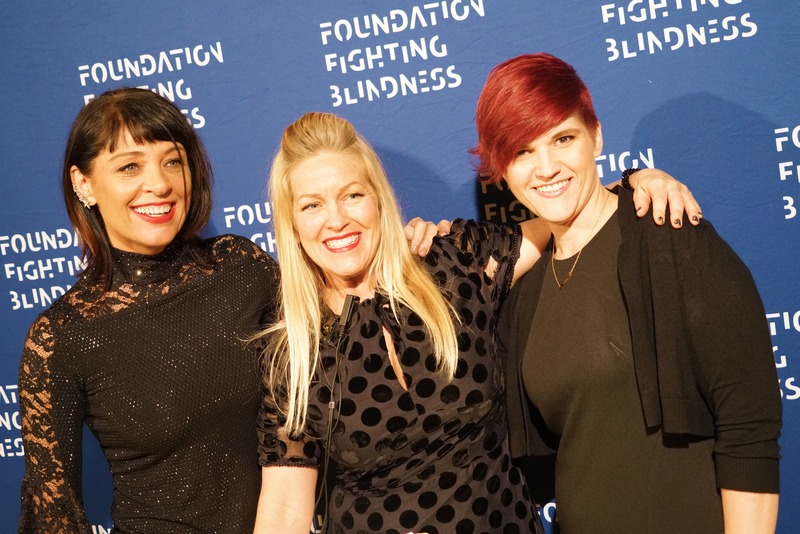 The event, which benefits the Foundation Fighting Blindness, raised thousands of dollars, which will benefit outstanding research to find cures and treatments to fight retinal degenerative diseases. 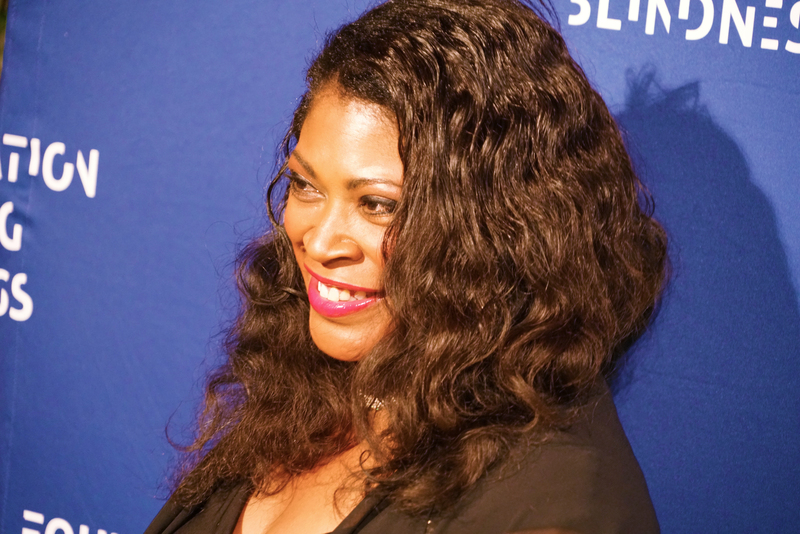 Celebrity Attendees included, Brenda Cooper “ Emmy Winning” Stylist, Ellis Hall and Leighala Hall, Kristin Dalton Actress “Hawaii 5-0”, Dianne Burnett Author/ Producer, Alexander Wraith “Agents of Shield”, Rachel Mc Cord “The McCord List”, Todd Savvas Spiritual Teacher “GoodDay LA” “Extra TV”, India Osborne Talent Manager, Wayne Jobson Record Producer, Cindy Cowan Oscar Winning Producer, James Immekus “Once Upon a Time”, Cody Jones Musician / Summer Harlow, DJ Beni Swift and Elena Dronova, Lindsay Hoffman TV Host, Erin Gavin Actress “Marylin“ on Broadway, Anjanette Miller Producer, Sean Stewart Actor / DJ. 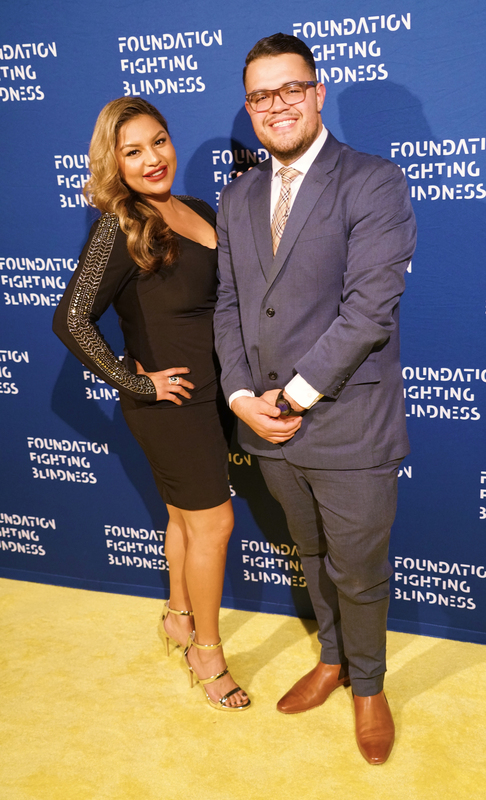 Benji Aflalo ( Alone Together creator ), was Master of Ceremonies for the evening where awards were presented to the Visionary Awards Honorees Dr. David S. Williams PH.D., who is a UCLA Professor of Ophthalmology and Neurology, and Visionary Award Honoree Danielle Umstead who is a 3x Paralympic Medalist and Dancing with the Stars Contestant. 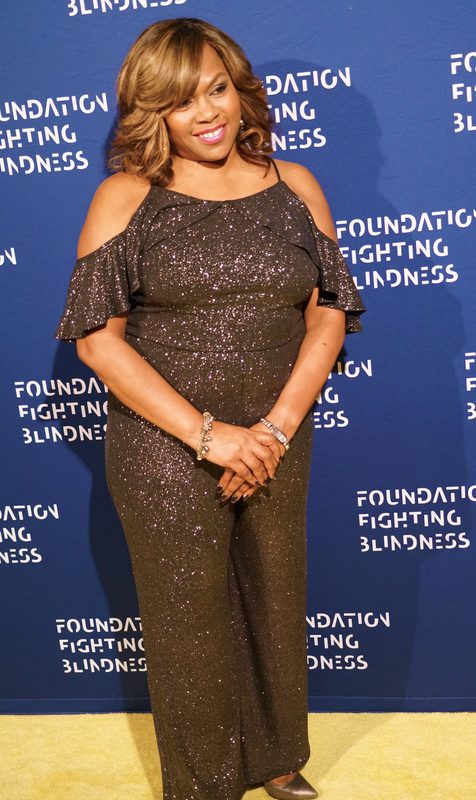 Dr. Williams gave some insight into the research currently being done, which shows great progress and promise to individuals suffering with degenerative eye diseases. 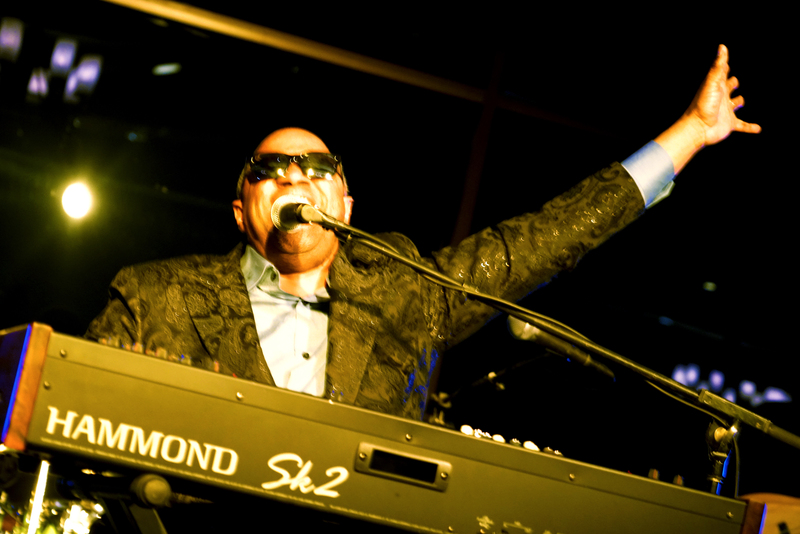 “Recent years have been exciting. 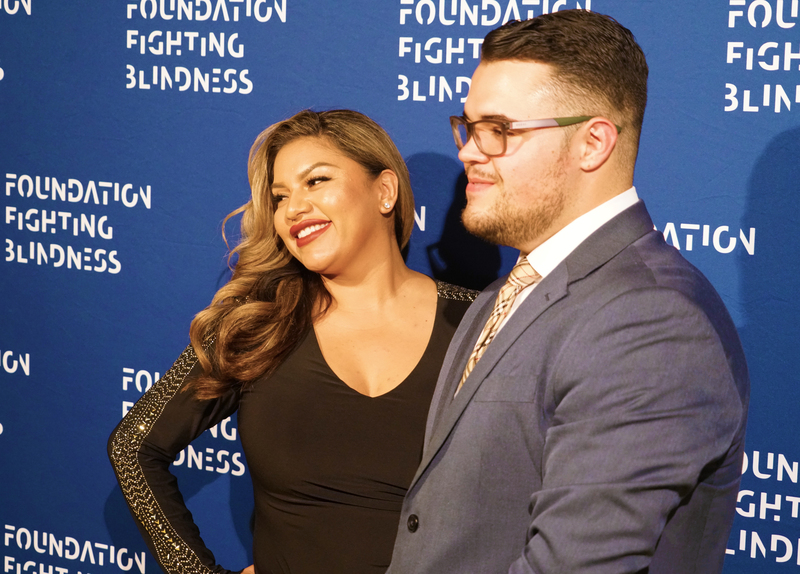 Last December, less than a year ago, the first gene therapy for treating a form of blindness called venous congenital amaurosis. 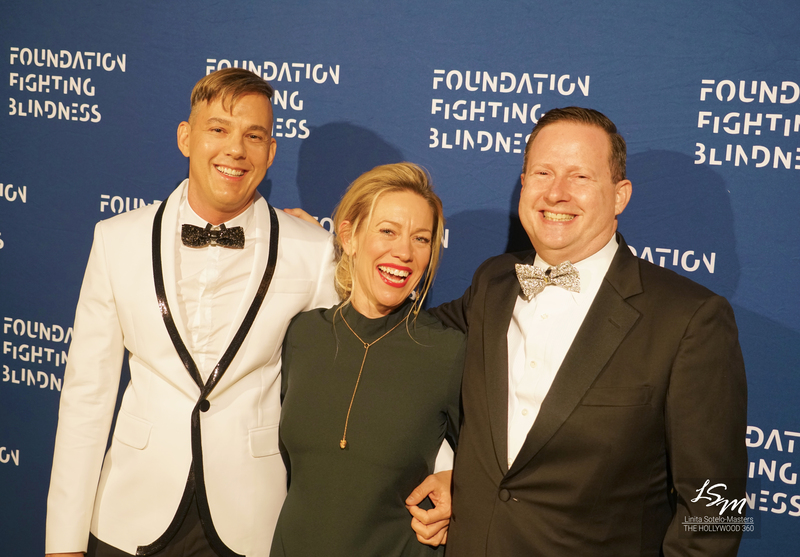 It is replacing the gene that doesn’t work in the retinal cells of patients. 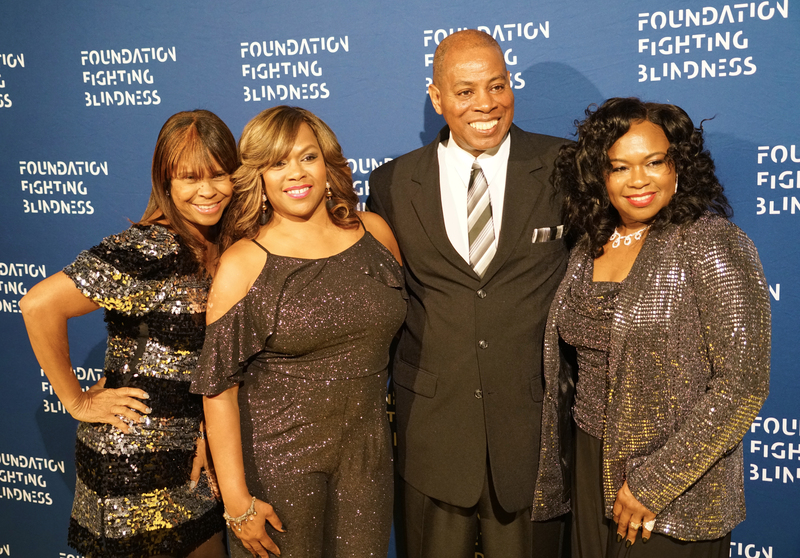 It’s now FDA approved and its going through the clinical trials,” Dr. David S. Williams PH.D.
Danielle Umstead was also honored with a Visionary Award. 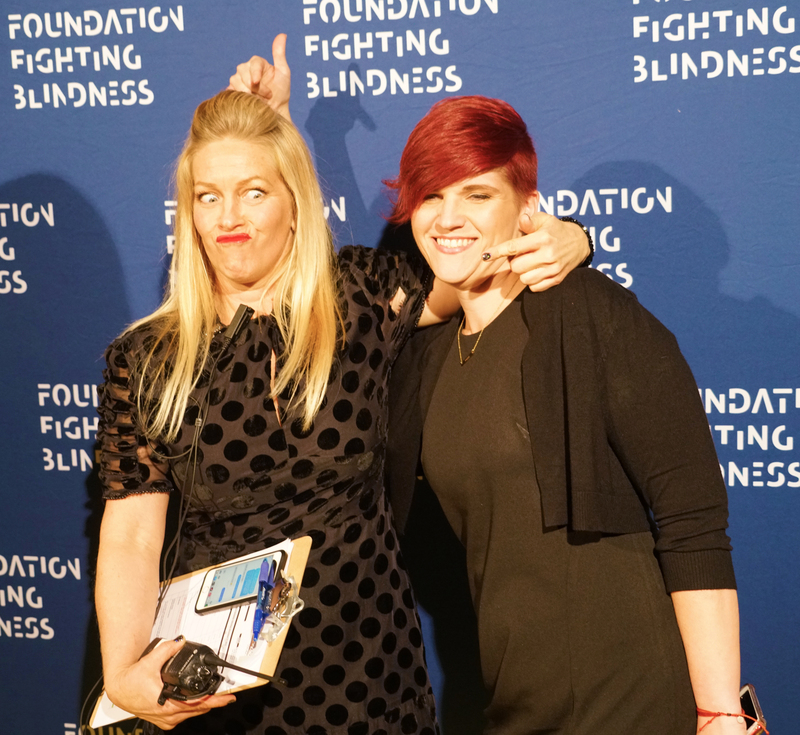 Danielle has a genetic eye condition called retinitis pigmentosa. 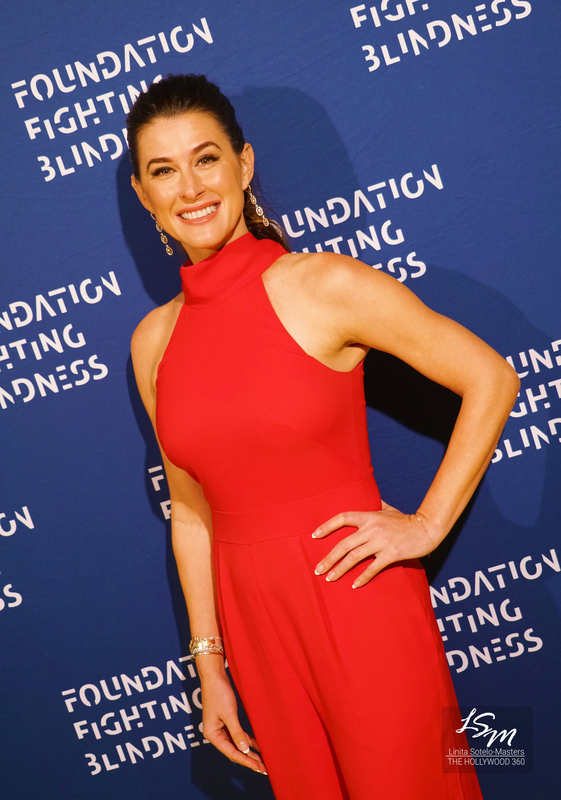 But that didn’t stop her from being part of the US Paralympics team. 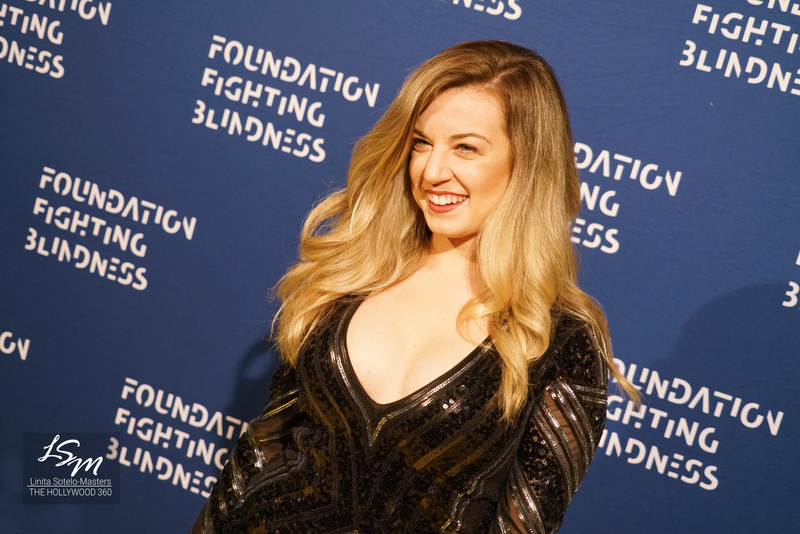 In 2010 Winter Paralympics in Vancouver she competed in the women’s slalom, giant slalom and the Super-G. Danielle and her husband Rob ( as her sighted guide) made history as the first visually impaired ski team to compete and medal for the US Paralympics Team. 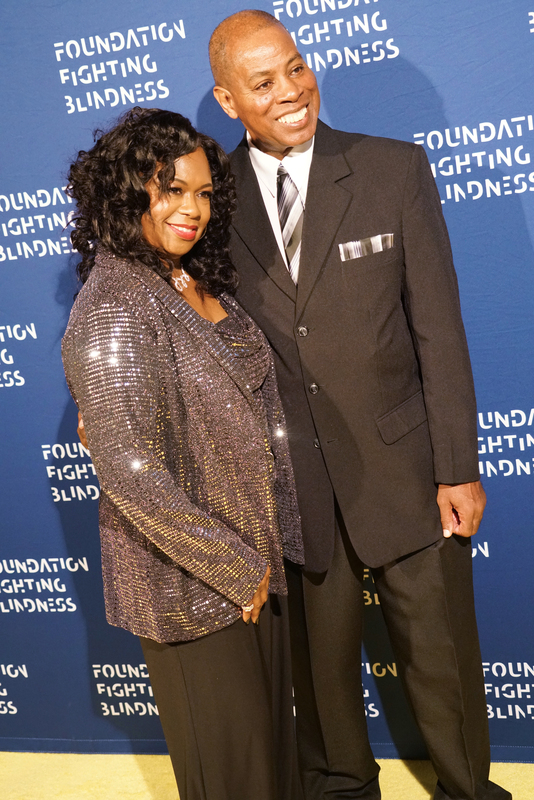 Umstead also competed on Season 27 of Dancing with the Stars. 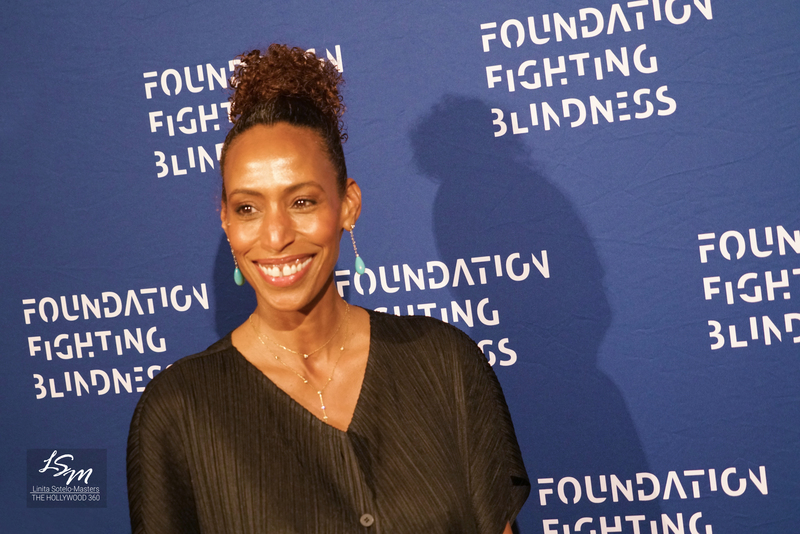 She shared with us that growing up blind made her feel as though she never really fit in anywhere. 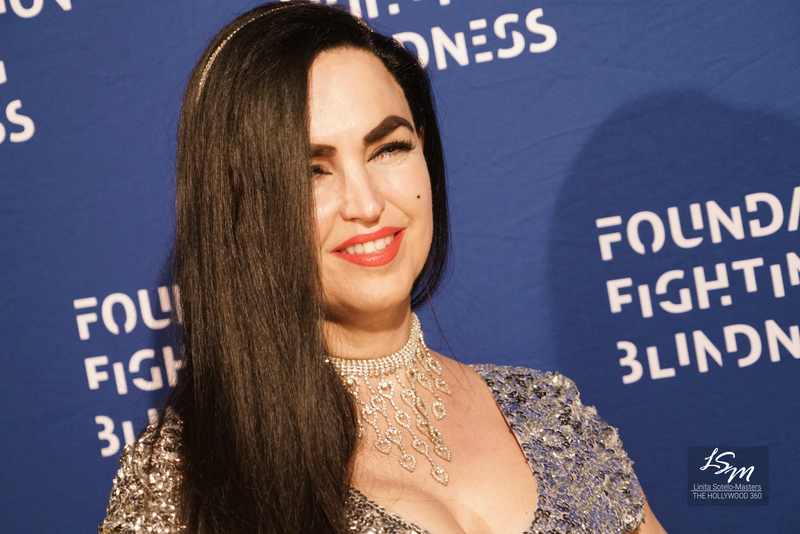 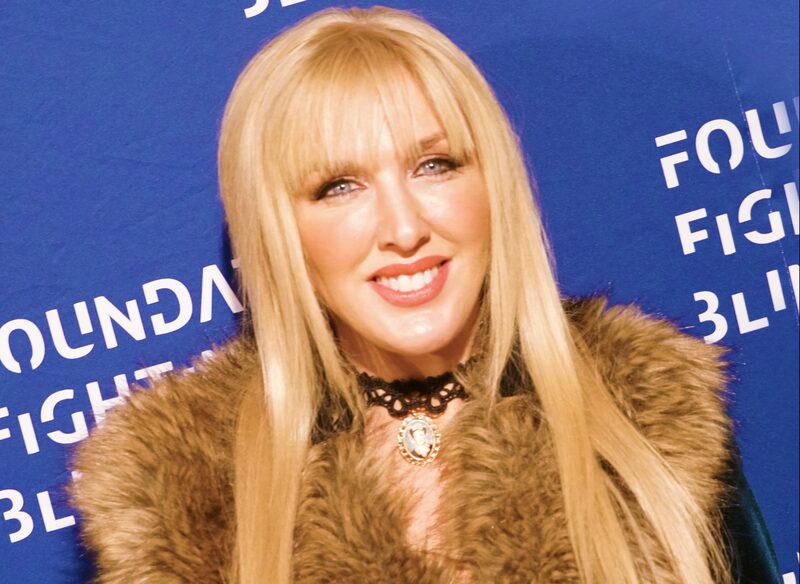 There was also a live auction — led by celebrity auctioneer Mellisa Nielsen, who inspired guests to open their wallets in support. 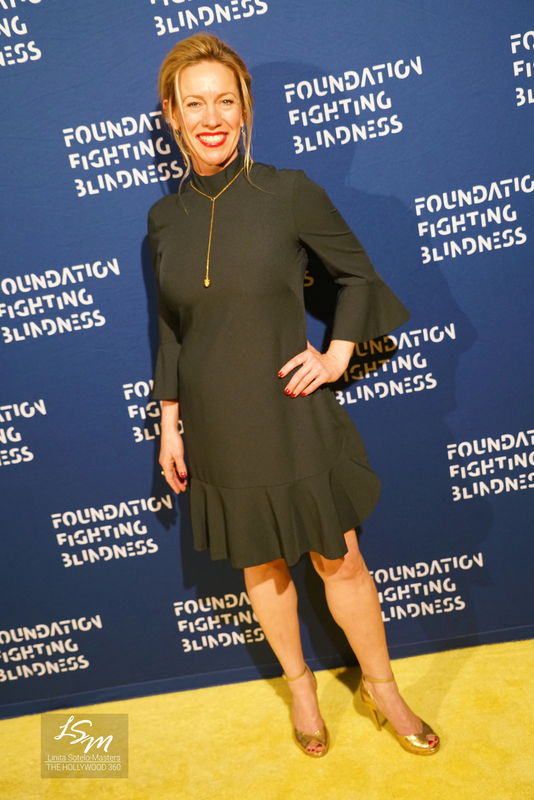 Up for auction were dozens of items including Marylin Monroe’s ( Norma Jean DiMaggio ) 1954 US Department of Defense identification card, handmade handbags by Mary Frances, signed lobby card for The Sound of Music, wines, jewelry, and a variety of unique Hollywood memorabilia. 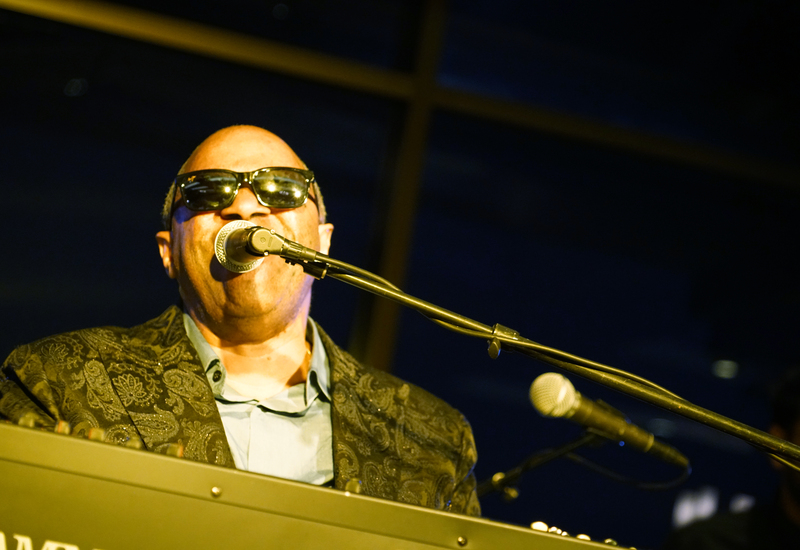 To round out the evening we were treated to performances by 25-time Grammy Winner Stevie Wonder and the legendary soul singer, “The Ambassador of Soul” Ellis Hall. 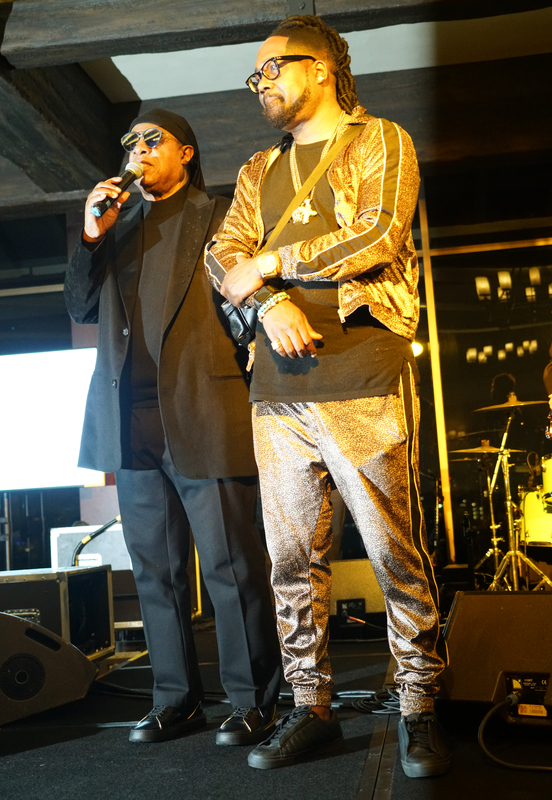 Stevie Wonder stood on stage with son Keita Morris and said a few words before introducing Ellis Hall. 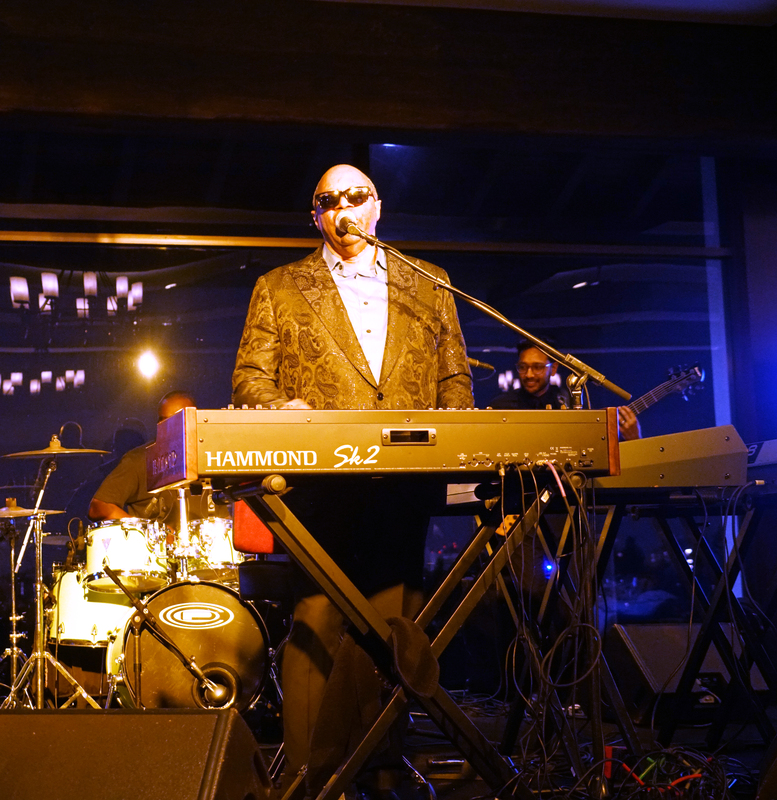 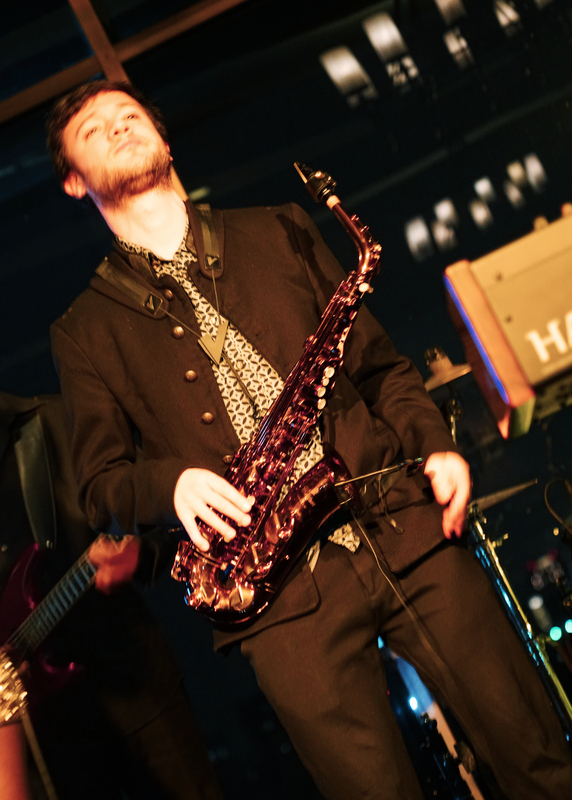 Ellis Hall gave us an electrifying, soulful and funky performance. 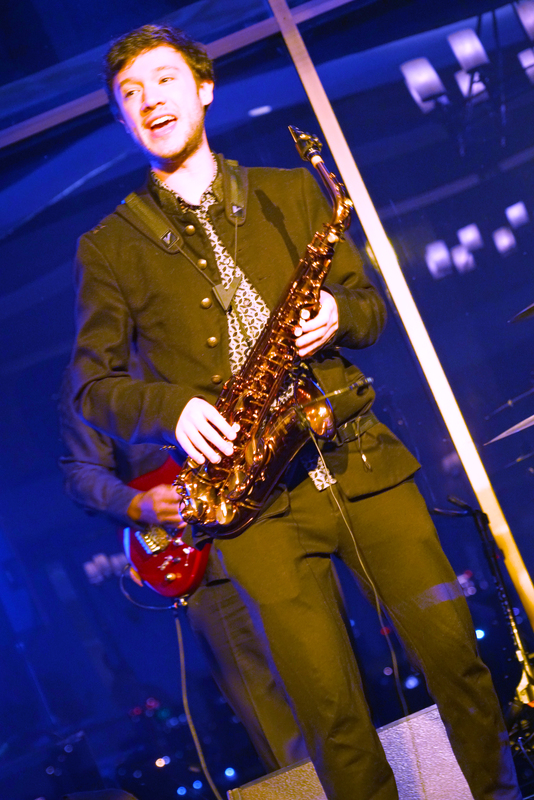 He’s one of those performers that just makes you smile. 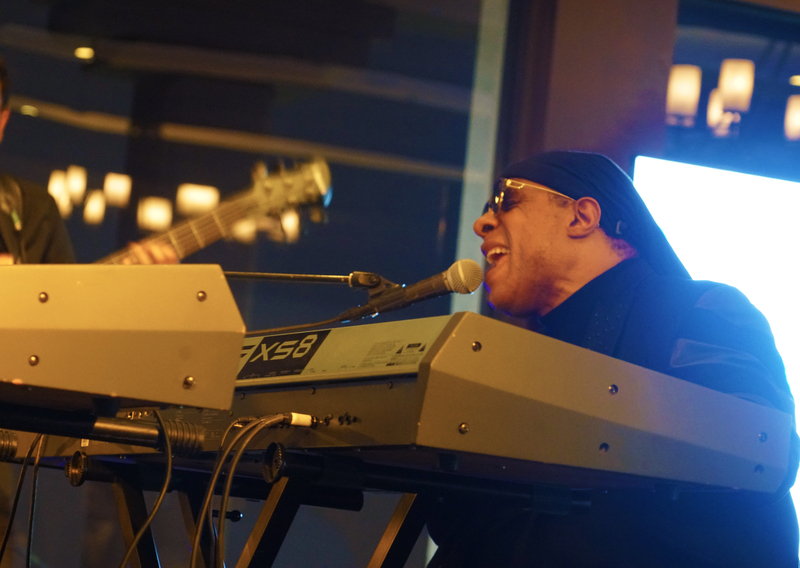 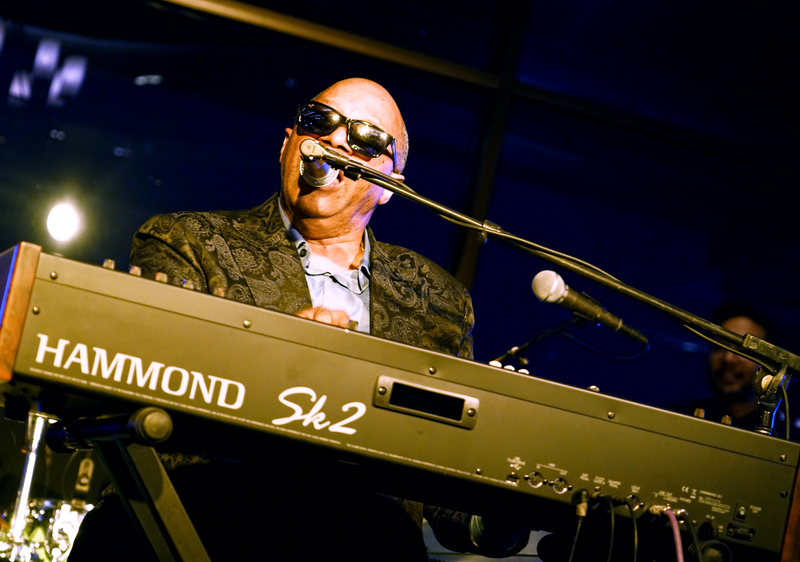 Living Legend, Stevie Wonder, joined Ellis on the intimate stage of the Bel Air Country Club and at 68 years old, Stevie didn’t miss a beat. 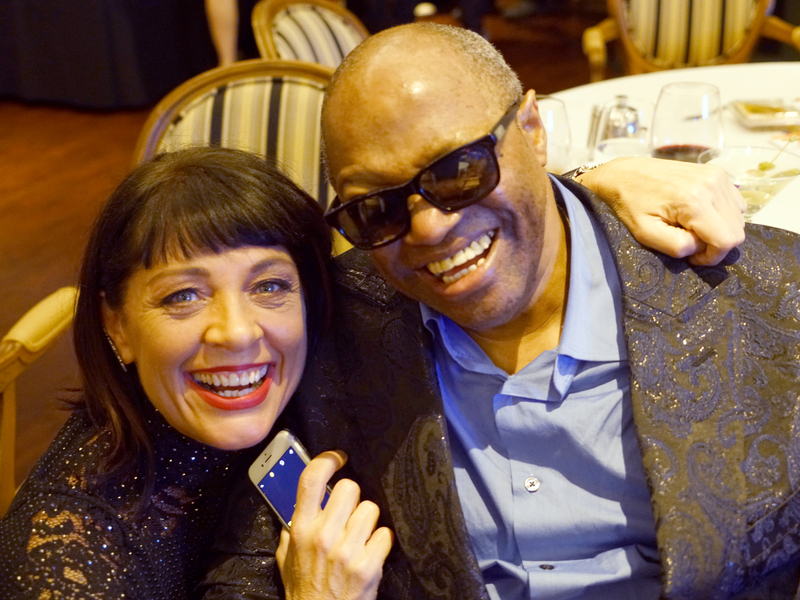 He was funny and engaging, full of passion, experience and humanity with a voice still as smooth as butter. 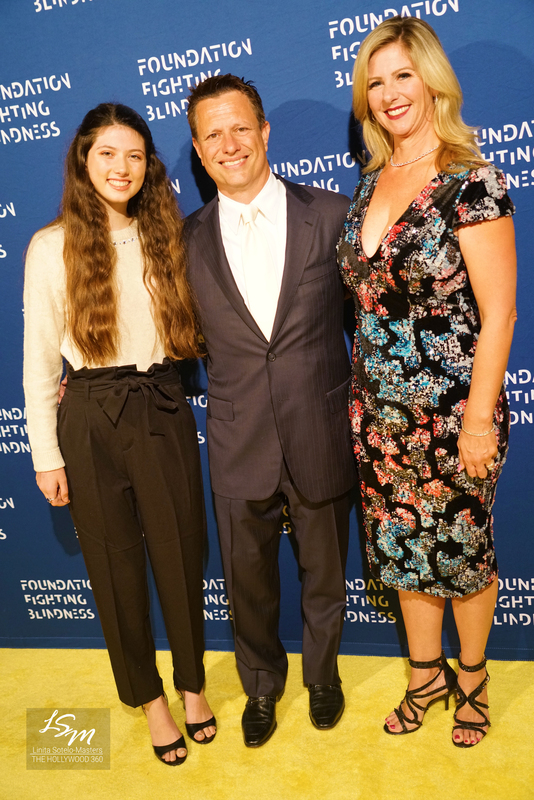 This was a stellar evening, that build awareness and where everyone left feeling more informed and a little more hopeful. 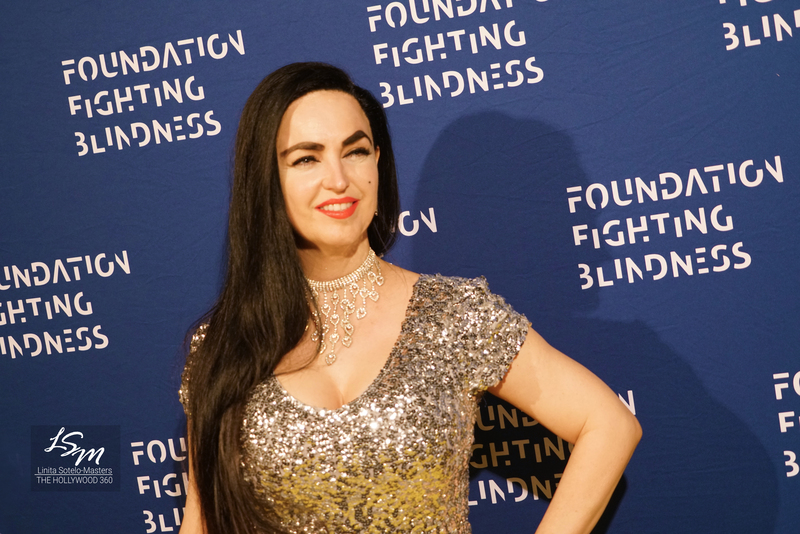 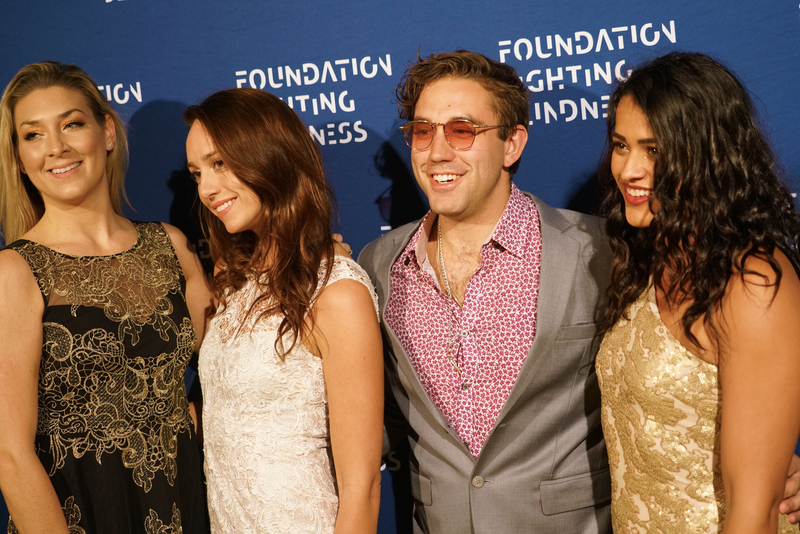 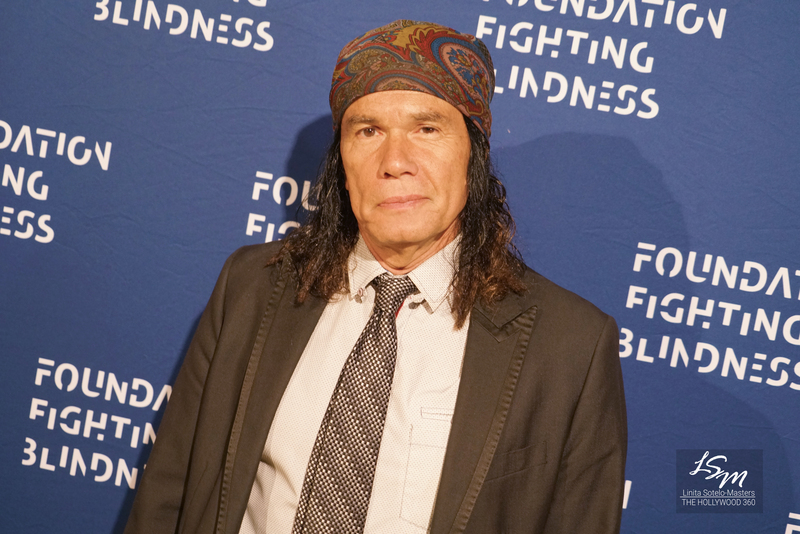 The urgent mission of the Foundation Fighting Blindness is to drive the research that will provide preventions, treatments and cures for people affected by retinitis pigmentosa, age-related macular degeneration, Usher syndrome and the entire spectrum of retinal degenerative diseases. 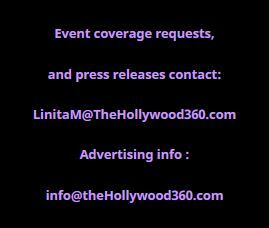 (r-l) Christine Peake PeakPRGroup and Monica Jaramillo Monica Jaramillo PR & Consulting .